Rent chalets in Les Allues, France. 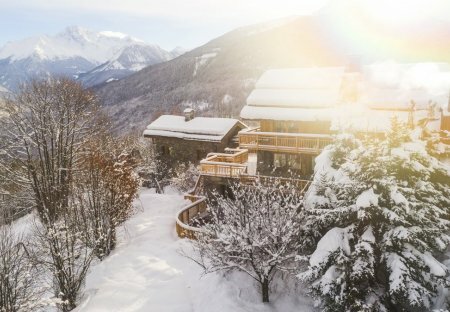 The Orchards is quite simply the most unique chalet surrounded by amazing scenery and beautiful views of the surrounding villages and mountains. Owned by former members of the British Ski Team, Eco Des Montagnes has been described by UK newspapers as "one of the ten best chalets in the Alps. Located in the heart of Meribel, Chalet Plain Air is a delightful chalet offering a wealth of facilities and wonderful views from its wide, sunny balconies. Laid out over three floors. 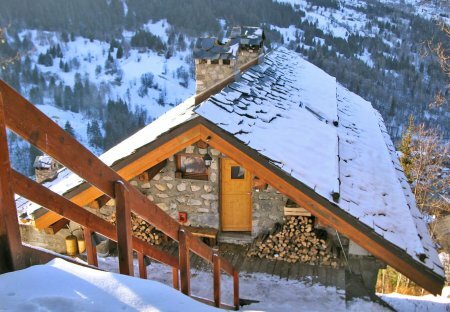 Chalet La Foret is the ultimate home from home on the slopes! Sumptuously furnished, with excellent facilities. Chalet Pedrix Noire, which was totally redesigned and refurbished during the summer of 2007. Chalet Beliez is a stunning, stylish chalet, beautifully furnished in a contemporary alpine style. Spread over five floors. From the second you walk into Chalet La Ravale you'll know you're somewhere rather special. Originally built by Mr Pomagalski (founder of the world-leading "Poma" company). Located in Meribel's exclusive village, Chalet Mauve is one of the most luxurious chalets in the area. One of the few recipients of the Tourist Office's 5* Label Meribel award. Chalet Genevrier is truly in a class of its own and is arguably one of the finest chalets in Meribel. A recipient of the Meribel Tourist Office's ‘5* Label Meribel' award. The luxurious Chalet Trois Monts is a traditional Savoyarde property and a recipient of the Tourist Office's ‘5* Label Meribel' award. Chalet Rebecca is a recipient of the Tourist Office's 5* Label Meribel' award, and is decorated in subtle and relaxing blues and greens. Close to Meribel-Village's epicentre.